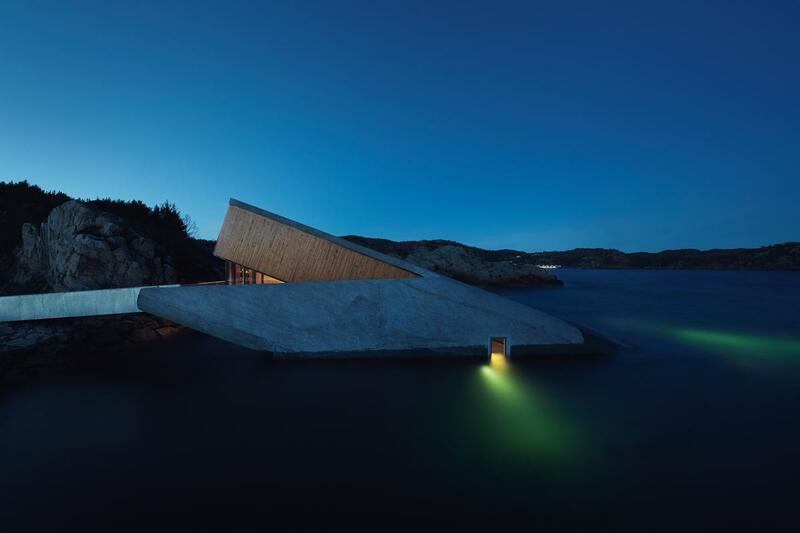 Under – an underwater restaurant and research facility that evokes the romance and wonder of Captain Nemo's Nautilus – has opened in Lindesnes, Norway. 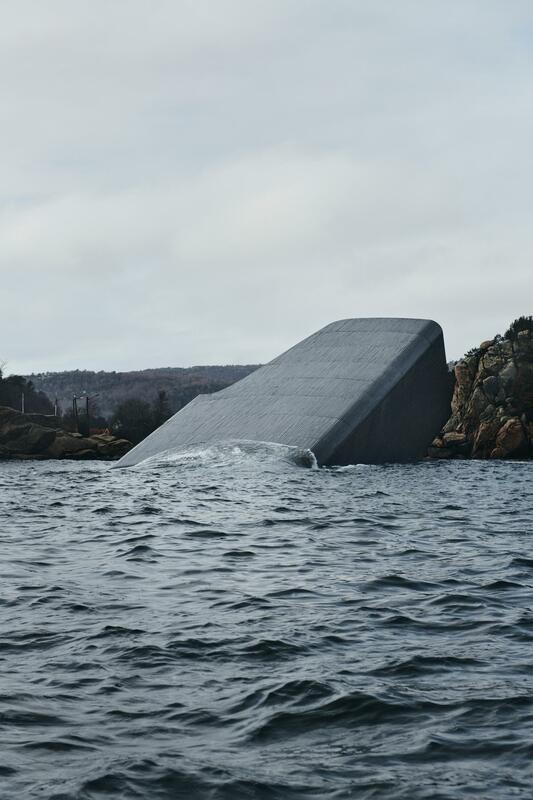 Conceptualised by Scandinavian design firm Snøhetta, the grey-coloured building, which was shaped to appear like a sunken periscope, can accommodate up to 40 guests and is protected from sea waves by fortress-like concrete walls. Under's interiors, illuminated by greenish LEDs, also add realism to the space, simulating the inside of a submarine. Extending five and a half metres below the surface, the structure also features an 11-metre-wide observatory window, providing guests with unobstructed views of the Norwegian seabed. 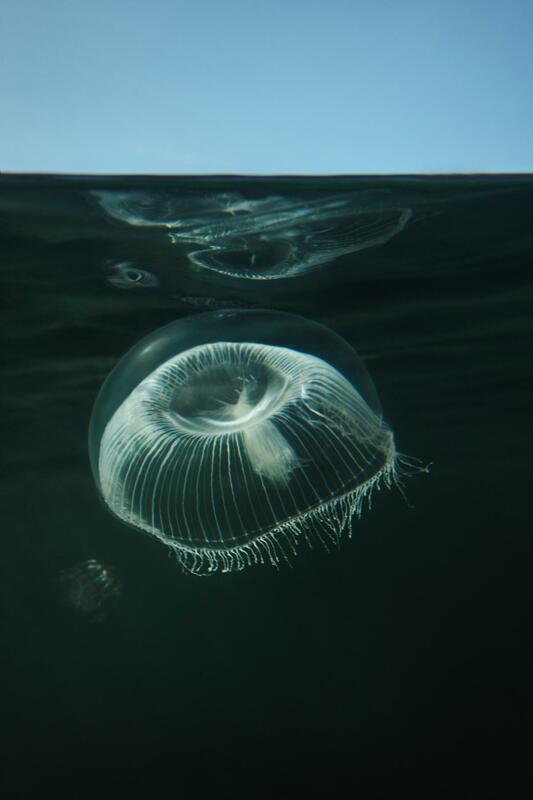 This aspect of Under will facilitate marine research, helping – according to the site's consultant marine biologist, Trond Rafoss – to provide "a newfound possibility to observe marine life with precision and patience". 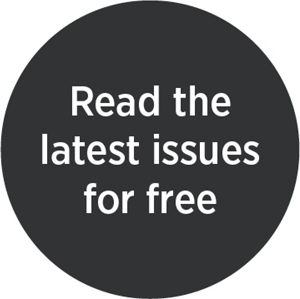 Rafoss added: "As one can stay in the restaurant for as long as one wants, that opens opportunities to discover species and observe their behaviours and never-before-seen stages of life". Culinary offerings at Under, all of which highlight Norway's coastal gastronomy, will include a variety of foraged and organic ingredients, such as limpet, bladderwrack, stone crab, and mahogany clam. Speaking on the menu, head chef Nicolai Ellitsgaard said, "Our aim is to display the diversity that can be found in the South of Norway." Developed by Norwegian hoteliers, Stig and Gaute Ubostad, who commissioned an engineering and planning team that included Submar Group and BRG Entreprenør AS, Under is expected to become one of the region's most prominent landmarks. 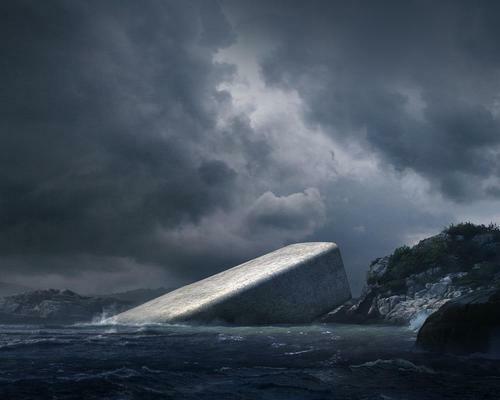 "It’s going to offer you new perspectives and ways of seeing the world," remarked Kjetil Trædal Thorsen, Snøhetta's founder, "both beyond and beneath the waterline." 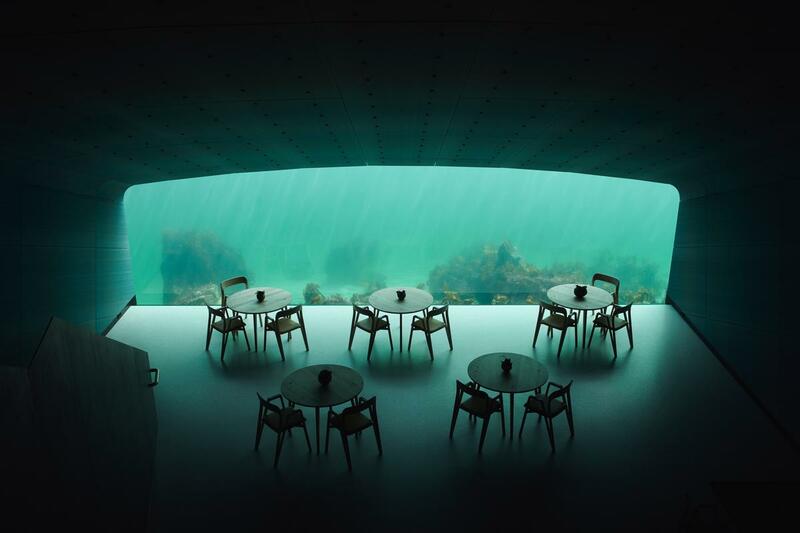 Work is almost complete on what will soon be the world's largest underwater restaurant, with the Snøhetta-designed project on track to open next year.